University of Illinois coach Adam Bleakney (in the white shirt and red hat) gives instructions on the next set of hard repetitions to the men and women on the University of Illinois wheelchair track team. Wheelchair racer Amanda McGrory hopes it doesn't rain in Rio. Science and technology have brought incredible advances to her sport -- lightweight, carbon fiber racing chairs, custom 3D-printed gloves to protect hands from the friction of skin against rubber, conditioning programs and stroke patterns maximizing the biomechanics of each athlete. But wet weather presents a conundrum no one has yet solved. When the push-rims mounted to their back wheels get wet, racers' gloved hands slip, breaking their rhythm and slowing them down. Pine tar, suede, sandpaper -- athletes have tried nearly everything to solve the problem. McGrory sometimes uses klister, a wax favored by cross-country skiers. But the stickiness takes days to wear off and makes pushing harder in dry conditions. If a good solution exists, it has eluded even Adam Bleakney -- a four-time Paralympian and silver medalist himself who now coaches McGrory's team at the University of Illinois. Ensuring a good grip on the handrings in wet conditions is "the mystery of the universe," he says. One Tuesday morning, thunderstorms nearly caused Bleakney to move the team's workout indoors. The rain stopped, so he threw a stack of towels next to his wheelchair in the back of his SUV and headed to the track. The athletes, who've rolled over from campus, debate which lanes have the fewest puddles and pause between laps to wipe down their rings. When Bleakney breaks them into two groups for a series of fast repetitions, McGrory -- hair dyed the same shade of pink as her racing chair -- claims the first spot in the second heat like you'd call shotgun for a road trip. The more she can avoid her teammates' splashes, McGrory says, the drier she can keep her rings. This week, McGrory and 11 others from the school, including six women, will represent the United States at the Paralympic Games in Rio de Janeiro (and an additional team member will compete for South Korea). It's the program's largest delegation, and accounts for about 20 percent of the total U.S. track and field team. At the London Games, in 2012, athletes from the University of Illinois brought home 10 of the 28 medals. Seven of them were gold. Other U.S. schools -- including the University of Arizona, Arizona State and Penn State University -- offer the sport, but none has yet reached the same level of success. "It's a dominant program," says Cathy Sellers, high-performance director for U.S. Paralympic Track and Field. "In fact, I don't think there's another program in the United States for any sport that is as dominant as the University of Illinois is in Paralympic track and field." Many of the most impressive champions through the years have been women. This includes McGrory, who started racing at age 11, six years after a virus called transverse myelitis paralyzed her from the waist down. Since then, she's won "somewhere north of 25" marathons, including Chicago, New York and London. 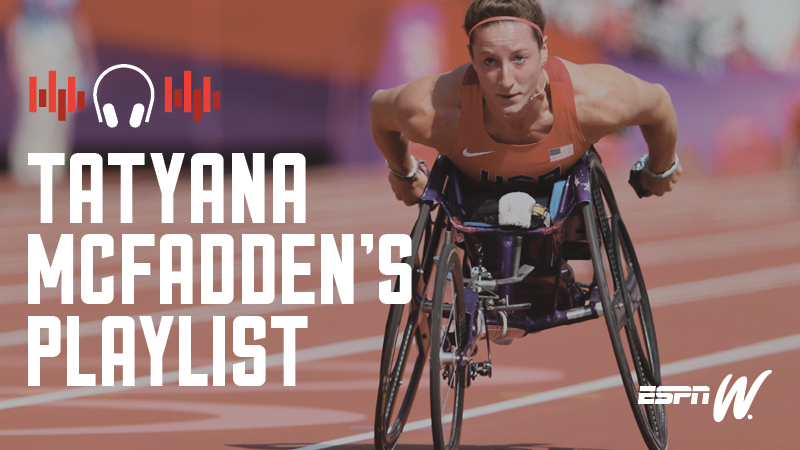 She's already earned four Paralympic medals and this year will compete in the 800 meters, 1,500 meters, 5,000 meters and marathon. Then there's her teammate Tatyana McFadden. Born in Russia with spina bifida, she learned to walk on her hands instead of her feet. Those strong neuromuscular connections, combined with years of dedication and hard training, has sculpted her upper body into a nearly unbeatable force. This year, McFadden has a legitimate shot at bringing home hardware in every distance, from the 100 meters to the marathon. 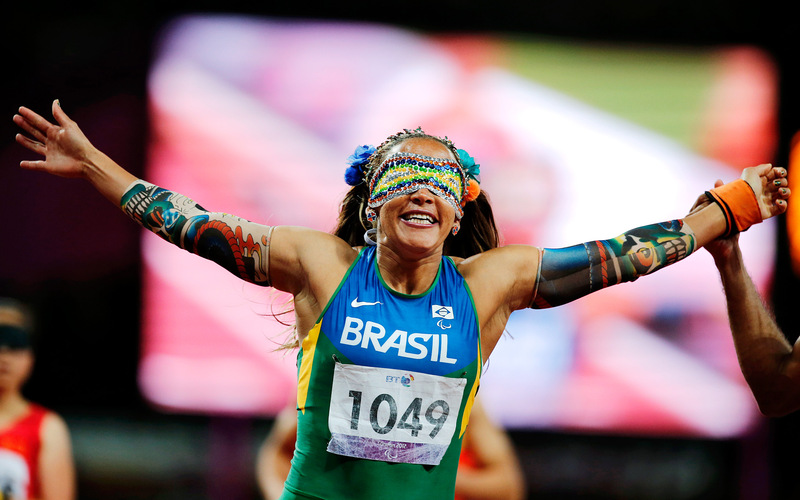 In addition to her 12 previous Paralympic medals, she's won marathon's grand slam -- Boston, London, Chicago and New York -- for the past three years. She's already halfway there this year -- feats that, like the University of Illinois' record itself, would be hard for any athlete, in any discipline, to match. Visit the University of Illinois campus in Champaign, about 140 miles south of Chicago, and you'll quickly get a sense of how far back the supremacy of the Fighting Illini (the school's athletic nickname) extends. One lengthy wall in the training center documents the program's Paralympic and Olympic athletes. The display begins in 1960, when the first Paralympic Games were held in Rome. Before attaining athletic glory, the school began setting standards for accessibility. World War II veterans were guaranteed two years of education thanks to the GI Bill, but few campuses could accommodate the many who returned with disabilities. The University of Illinois opened a satellite campus at a former Veterans Administration hospital in a town called Galesburg, about 150 miles from Champaign. In 1948, officials hired a 24-year-old veteran named Timothy Nugent to oversee what was then called the Rehabilitation Program. Though he wasn't wounded himself, Nugent developed a strong passion for the rights of people with disabilities. He fought vehemently for curb cuts, ramps and other standards that eventually formed the basis of national accessibility laws. A core component of ensuring people with disabilities could reach their full potential, Nugent believed, was the opportunity to participate in sports and other recreational activities. "I remember calling home and telling a friend that I had landed in the middle of a cornfield that proved to be Disneyland for people in wheelchairs," says Brad Hedrick -- a longtime wheelchair basketball coach and director of the university's Division of Disability Resources and Education Services until his retirement in 2014 -- who moved from North Carolina to Champaign to earn his doctorate in 1977. "It wasn't just the campus but the entire community was accessible. That was unheard of at that time." 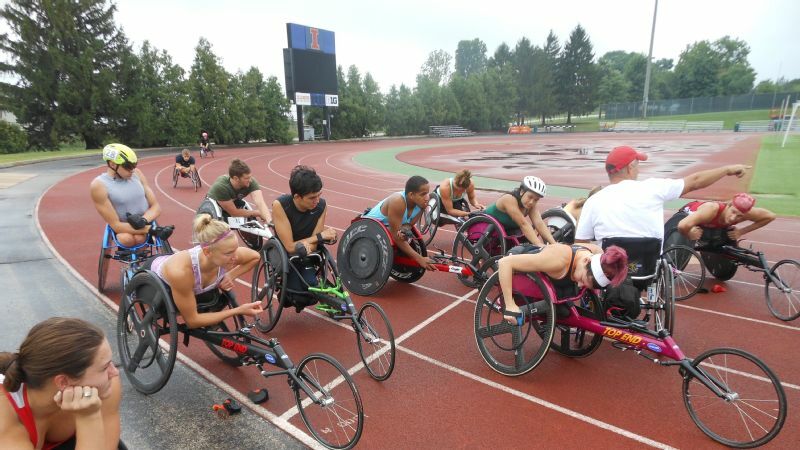 As attitudes and the legal climate evolved, wheelchair sports and women's athletics advanced along similar arcs, with the University of Illinois ahead in both. In 1972, Title IX guaranteed women's equal participation in federally funded school sports; the next year, the Rehabilitation Act of 1973 ensured students with disabilities equal access to educational opportunities. On the wall of Illini wheelchair athletic achievement, the first woman's name appears far earlier -- Carol Giesse brought back two bronze medals, in the discus and javelin throws, in 1964. University of Illinois women formed their own basketball team in 1971, though they had no other female teams to compete against until 1974. The fastest women of all -- wheelchair racers -- had to wait longer than anyone to catch up with men. For decades, they couldn't race any farther than the 60-yard-dash. Females' bodies -- with or without disabilities -- weren't considered capable of handling endurance training. At the 1980 Olympic games in Moscow, the longest distance women could run was 1,500 meters, and they couldn't medal in the marathon until 1984. By then, women's wheelchair racers from the University of Illinois were already making their mark. Sharon Hedrick, now married to Brad, had been the first female wheelchair competitor in the Boston Marathon in 1977 (she eventually won 12 Paralympic medals in track and field, swimming and basketball). "If there was something that hadn't been done yet," Hedrick says, "I wanted to do it." In addition to the first women's marathon for runners, the 1984 Summer Games in Los Angeles included two wheelchair races -- demonstration events of 1,500 meters for men and 800 meters for women. Hedrick skipped the Paralympics that year to compete. She won, setting a world record, and, for the first time, wheelchair racing reached a national televised audience. Jean Driscoll remembers walking through her Milwaukee living room on her crutches -- she didn't start using a wheelchair until she was 15 and a fall from her bike caused a fracture in hips weakened by spina bifida -- and catching a glimpse of Sharon Hedrick's 800-meter victory. "I just stopped in my tracks and stared," Driscoll says. "I made some off-handed comment like, 'Well, I'm going to do that someday.' It planted a seed." Brad Hedrick recruited Driscoll to the University of Illinois in 1987. By the end of her racing career, she had two degrees, 12 Paralympic medals and two Olympic medals. Between 1990 and 2000, she won the prestigious Boston Marathon an unprecedented eight times. Throughout their years of competition, Driscoll and her peers also served as willing study participants. Brad Hedrick, along with track and field coach Marty Morse, collaborated with researchers from all over the world to gather data on physiology, biomechanics, performance and health. "We were the most fit guinea pigs in the world," Driscoll laughs. The results of these analyses gave University of Illinois athletes an edge and transformed the sport. Take training -- wheelchair racers once prepared like recreational runners aiming to complete a marathon, logging only long, slow distance. With the help of coach Adam Bleakney, Amanda McGrory removes a sticky bit of tape from the handrings on her racing chair during a recent Tuesday-morning workout. Morse recognized that their competitions, even at the marathon distance, didn't work that way. They're full of surges, drafting and maneuvering, requiring high-intensity intervals and other tactical training techniques to master, says current coach Bleakney. Today's athletes have the benefit of that knowledge, plus improved technology. By Driscoll's time, there were racing frames, but her first one was made of PVC piping. This year, BMW engineers worked with athletes including McFadden and Josh George, a University of Illinois athlete who holds the world record in the 800 meters, to design aerodynamic racing chairs made of carbon fiber. 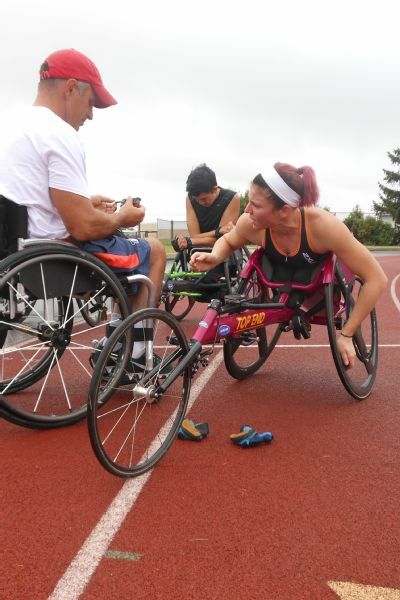 In 2014, a $160,000 grant from BP helped elevate that center to a whole new level, creating the first U.S. Paralympic training site for wheelchair racing at the school. The designation allows athletes who've graduated to continue to train there. Having the 2,100-square-foot facility means that on days when it does storm -- or during the long, brutal Illinois winter -- athletes can push through hard workouts on "rollers." Racers affix their chairs to these stations, attached to iPads that alter the resistance to mimic hills and other terrain shifts. Then, they hit the weight room, full of adaptive equipment that allows them to build the core and upper-body strength they need to race well. "Excellence breeds excellence," McGrory says. "Being able to train with the world's best every day, that just pushes everything to the higher level. There's always somebody right ahead of you that you're trying to catch. And there's always somebody just behind you trying to catch you." Road racing, too, has become more popular and more profitable. McGrory says she earned more money for coming in third in the New York City Marathon in 2007 than she did for winning in 2006. "It's still tough, and we're not coming home with six-figure wins like the runners are, but it's reasonable to live off," she says. At the Boston Marathon this year, the Abbott World Marathon Majors announced that wheelchair racers could compete for an additional $50,000 prize based on how they finish in the series' six global races (Tokyo, Boston, London, Berlin, Chicago and New York). Athletes from the University of Illinois program do their part to raise the profile of the sport off the roads and track. McFadden wrote an autobiography for children and hopes to start a foundation to help youth with disabilities, especially girls in developing countries, find empowerment through athletics. "You don't see certain countries competing in the Paralympics because they don't have that education or the resources. What I want to do in the future is to help grow that and really spark that awareness," she says. While earning her master's degree in library and information sciences at the school, McGrory is assisting former coaches Brad Hedrick and Marty Morse in compiling a history of the program. Hedrick hopes the book will serve as a blueprint for other schools to create their own track and field success stories. And that's something other top athletes -- including George -- have contemplated pursuing. "For a country this size, we need more high-level programs," he says, and Illini athletes are in the best position to start them. "U of I is always going to have the name and the history, but I feel like, for the sport -- in this country, at least -- to grow, we need expansion." For the moment, though, the team's focus rightly lies in Rio. The athletes will be prepared for the weather -- Bleakney has made sure there are plenty of towels, and McGrory packed two sets of rings, so she can use klister on one without impeding her performance in later, drier races. After what she calls a "rough couple years" after London, where she failed to medal, McGrory overhauled everything -- switching up her gloves and racing chair, eating meat after years as a vegetarian, tweaking her stroke. Now, "Everything's clicking again," she says. She's optimistic about her chances -- and ready for the brighter spotlight of TV cameras. Heading into Beijing eight years ago, she didn't see herself as a role model, but, at age 30, her perception has shifted. "As you get a little bit older, you gain a greater ability to look back on those things and see what's come before you," she says. "Now, I feel a bigger sense of responsibility upon myself to continue that tradition and to carry it on." Cindy Kuzma is a freelance health and fitness writer in Chicago, contributing editor at Runner's World magazine and marathon runner. You can read more of her work at www.cindykuzma.com.